Mexican food lover, performing arts enthusiast and sunset hunter with green tea in hand. The Puerto Vallarta’s cultural scene has flourished in surprising ways over the last years thanks to the emergence of new artists and events comprising disciplines such as music, performing, visual and plastic arts, as well as the opening of venues that showcase and promote these expressions. 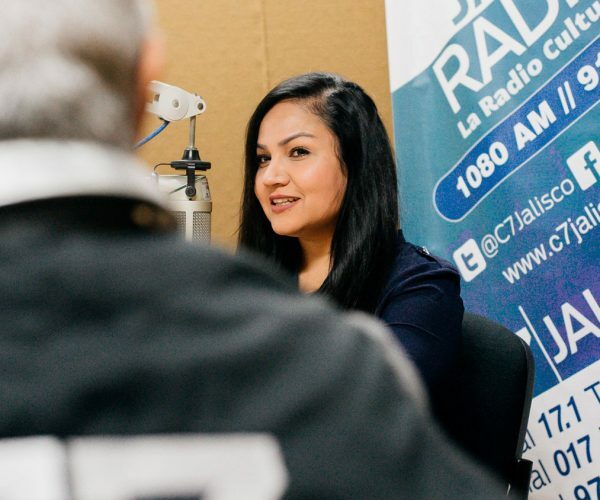 Within this favorable context, the radio show La Revista (The magazine) (broadcasted by the Jalisco’s Radio and Television System on 91.9 FM) has followed this development really close, advocating the daily going of the arts and their representatives. 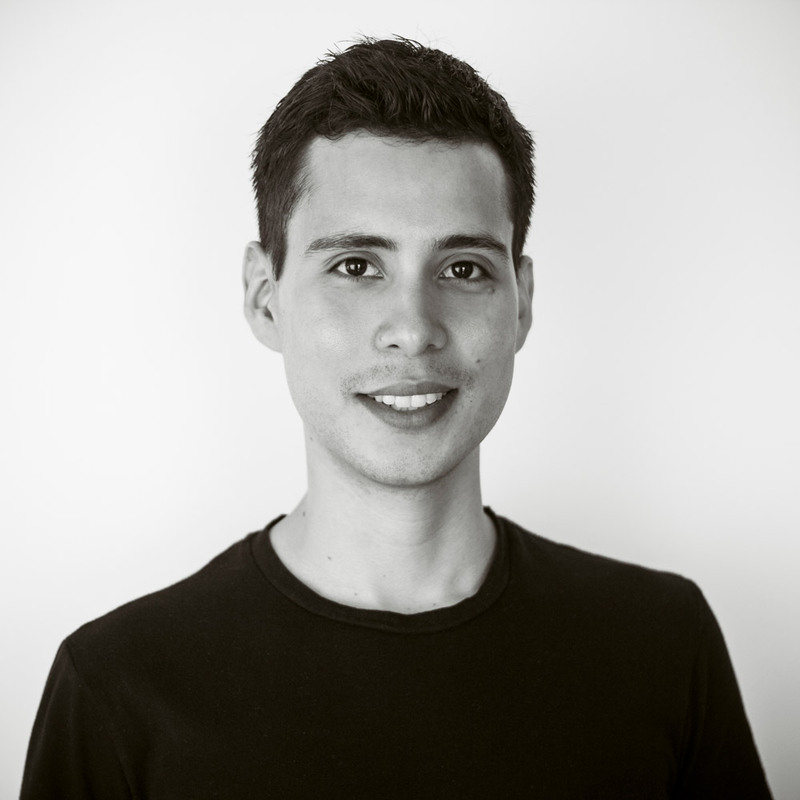 The radio show’s hosts, Argentinian musician and creator of the concept Gustavo Fernández and local communicator Esmeralda Vega, are pioneers with this concept in the local media field, bringing Puerto Vallarta citizens closer to the cultural agenda in a friendly, pleasant and entertaining way. Next month, La Revista will celebrate its 18th anniversary, the reason why we visited its booth eager to learn more about its history. The radio show airs Mondays and Wednesdays from 10:00am – 11:00am and Fridays from 9:00am – 11:00am. Gustavo Fernández is originally from Buenos Aires, Argentina. He graduated at the Municipal Music Conservatory in his hometown and arrived in Puerto Vallarta more than two decades ago. 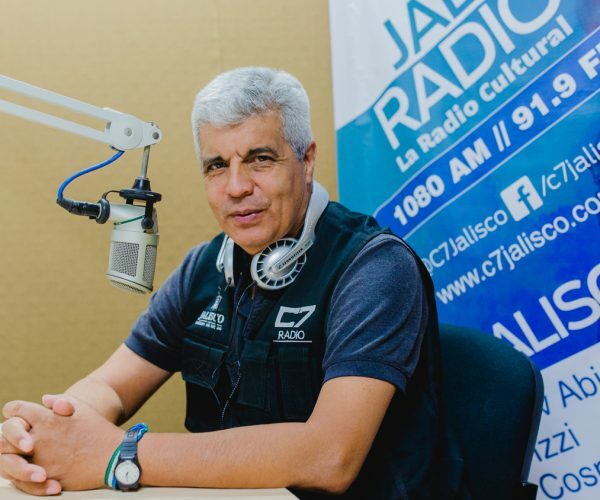 His career on the radio began in the Jalisco’s Radio and Television System (a public station that is also known as C7 Jalisco and Jalisco Radio), where he was in charge of music programming. Apart from his work on the radio, he is part of Los del Sur, a music duo where he performs songs of Argentine popular music. Esmeralda Vega holds a degree in Communication Sciences from the Centro de Estudios Universitarios Arkos (CEUArkos) and a master degree in Marketing from UNIVA. Her career on the radio began in the 90s at the former station Stereorey. 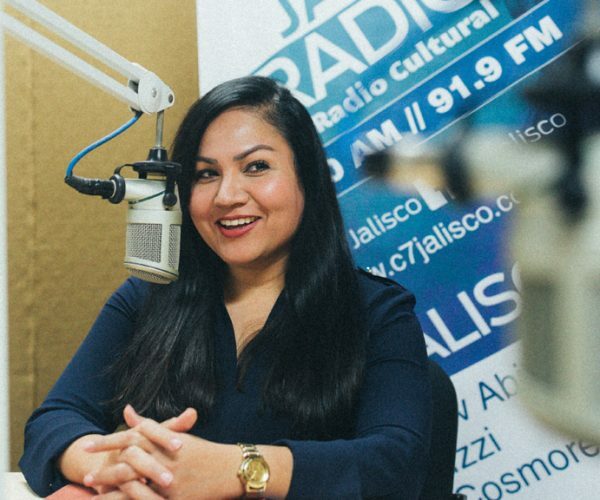 In 2000, she joined the Jalisco’s Radio and Television System. Both Gustavo and Esmeralda participate in other informative shows and spaces at their station. Since the 1990s, Gustavo Fernández had the intention to create a local radio show focused on the artistic expressions. “Back then, I wanted to create a radio show with cultural contents—a sort of a news magazine— where we could talk about the local art scene, but taking away all the seriousness and the former belief that culture and arts were only intended for certain people. I wanted to share all these activities with the audience in a very easy, clear and fresh way,” he explains. Fernández recorded a first demo alongside Lili Villalpando (teacher at CEUArkos), at the studio of Puerto Vallarta’s outstanding musician Julio Cabrera. Afterwards, he took the tape to Mario Ávila, general manager at MVS Radio, who liked the concept and gave feedback. 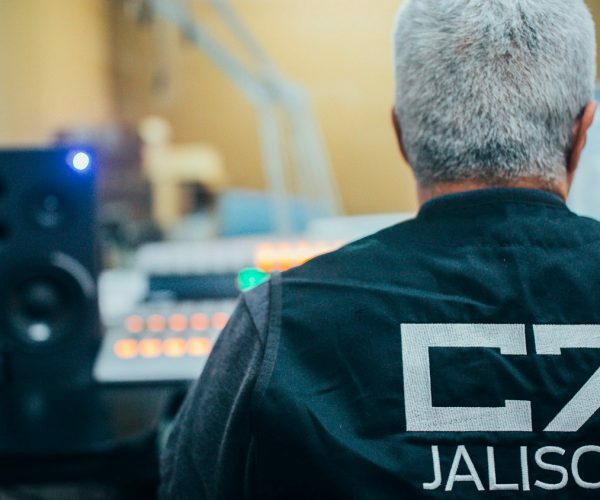 However, after a while, Gustavo was hired by Jalisco Radio and decided that station would be the home of La Revista. Esmeralda joined the station shortly after that and became the co-host. Their first broadcast took place on August 14, 2000. The show was well received by the audience and their first months were very successful. Their first anniversary had the well-known band Ampersan as the invited guest. Besides from many local artists, La Revista has hosted important individuals such as Mexican rockstar Alex Lora, the former Mexican Foreign Minister Rosario Green and a large number of actors and actresses who came to Vallarta to attend the Muestra de Cine Mexicano (which evolved to become the Puerto Vallarta’s International Film Festival). “One of my great satisfactions is that we’ve positioned this radio space. 80 % of our guests are people who reach us because they want to promote their shows. The rest are artists we invite and they always accept. They really trust our cultural station,” Esmeralda points out. Apart from live interviews, informative capsules and the calendar of cultural events; La Revista features a varied and one-of-a-kind music selection. Esmeralda and Gustavo take the audience on a journey through genres and songs rarely broadcasted by other stations, although they include popular rock bands from time to time. On Fridays, they usually have local ensembles playing live right from the booth, which has also represented a challenge. “Whether it’s live music or not, we always talk about the performers so the audience knows more about them and the context,” Esmeralda comments. With the aim of commemorating their anniversary, a few local personalities expressed their appreciation to La Revista and its hosts. “Esmeralda and Gustavo are important personalities within the culture scene of the city. 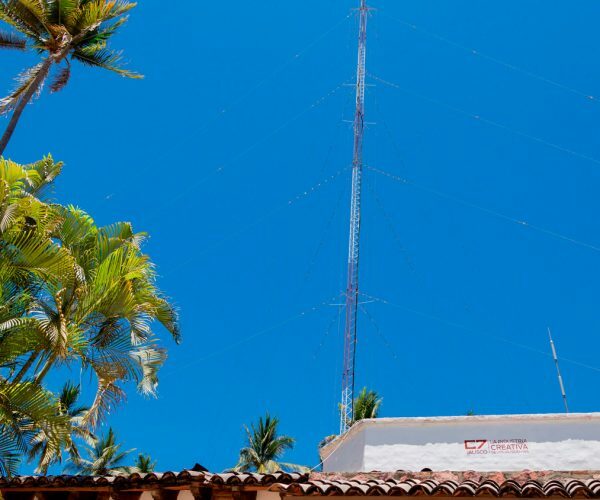 They always have their microphones open to promote the local agenda, their labor becoming essential in the Banderas Bay.” —Arturo Montero, audiovisual creator and director at Canal del Puerto. 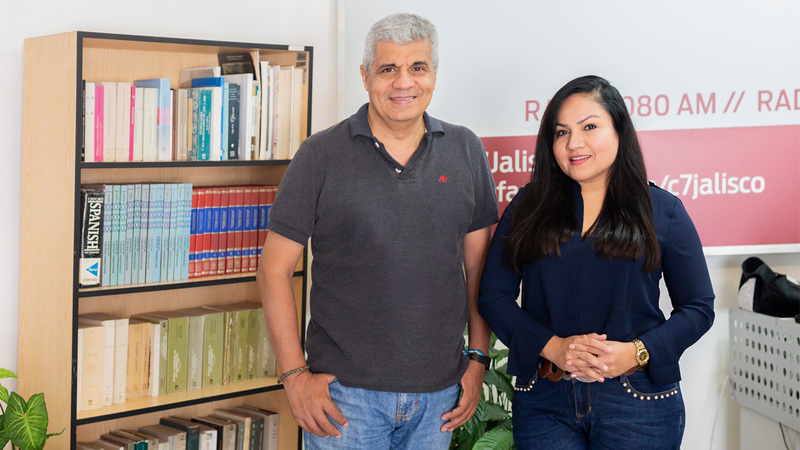 “La Revista has position itself as an important and necessary space for the promotion of the cultural and art activities in Puerto Vallarta and Bahía de Banderas. It serves as shelter and guide for the listener looking for intelligent contents and entertainment options. Long life to the show and congratulations to its hosts, booth operators and production team for these 18 years on-air.” —Coral Arroyo, founder of La Gata café-foro.